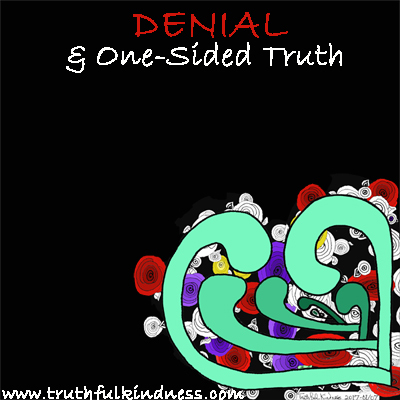 Denial is an organizational problem as well as a personal problem. This problem is compounded when organizations and persons in our periphery are determined to promote only one side of “Truth”. Tru here. Since my last blog entry was expressing my anger at showing only the narrow, extremely negative side of life after dementia diagnosis, it is now appropriate to express frustration at organizations and persons that only share the most positive times and the most positive possibilities of life after dementia diagnosis, remaining quiet about the horror stories. They have a right to determine their own policies and goals, but I think it often does the cause of advocacy a dis-service to promote only one side of the full picture. their hope becomes a root for bitterness. but cannot find anything similar to this in quote collections. Friedrich Nietzsche said, “Hope in reality is the worst of all evils because it prolongs the torments of man.” Leo Tzu said “Life is a series of natural and spontaneous changes. Don’t resist them – that only creates sorrow. Let reality be reality.” But, my favorite is Albert Einstein’s quote, “Learn from yesterday, live for today, hope for tomorrow.” I truly believe that if you and your care-partners do not learn from your own yesterdays, and the yesterdays of other Persons With Dementia (BOTH negative and positive) then, as a Person With Dementia, any hope for a brighter tomorrow is false hope — and the root of bitterness all too frequently seen. True education involves intimate acquaintance with the big picture; acknowledging ALL crucial factors involved. Without true understanding & ACCEPTANCE of the negative as well as the positive possibilities “Living Well with dementia” is usually just denial and pretending. All of us revert to pretending at times, and it is possible to use pretending — and acting on that decision — as a constructive tool. But often pretending is disastrous for everyone involved, as it can produce denial and unrealistic expectations from everyone involved, including yourself. Truth is that life is, in itself, NOT fair … and it never has been fair. There IS lots of horror in our stories of dementia — if we tell the whole story. But currently that is not the popular activist slant, so only shared by a specific section of advocates (like in the funding documentary I discussed in my most recent blog entry). In my opinion, sharing only the”Living-Well” narrative is little better than the tragedy-only narrative, because in order to get to the “Living Well” stage, one must recognize the whole picture and CHOOSE to accept the negatives but focus on the positives of current moments. and find whatever work-arounds might be possible to live the best moments of each day. better allows us to personally participate in preparing tomorrow’s more severe work-arounds. allows us to focus on the contentment from MOMENTS of today. … & Create HOPE 4 tomorrow. Personally, I see many advocates unwilling to share stories from Persons With Dementia (PWD) unless the PWD is telling the positive slant that they want. I have lived with dys-Abilities all of my adult life, and agree that most every human has dys-Abilities, whether they recognize them or not. Most dys-Abilities among the public would be considered “invisible” disabilities. In order to find work-arounds to continue life in the most positive ways possible it is important to recognize those dys-abling areas . 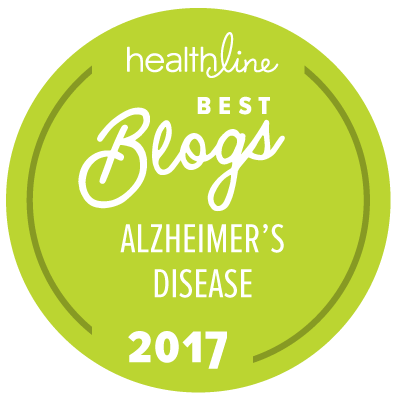 However, I have encountered a number of people who have the attitude “so what is the big deal; adapt, find strategies and live with your diagnosis just like the rest of us” — they really do not understand the progressive nature of dementia. Few people have any concept of LBD’s hallucinations at early stages, and vivid night terrors that linger in the mornings, or looking at a loved one and being certain they are an imposter (capgras symptom). Many people NEED to hear the horror side of the story, because telling only half of the story is not telling the truth, whether that half is the positive slant or the negative slant. Even those planning on ending their own life need to have their stories told. I do not agree with that decision, based on my personal theological beliefs. But true education involves objectively sharing the horror story validating that decision to end a life, just as much as sharing our strategies for “Living well” despite growing dys-Abilities … it is the other side of the same coin. Omitting one side of Truth is not really telling the truth, it is telling the PART of the truth that we find convenient for our personal goal. I think an organization or person who promotes one side of truth over the other sides of truth, regardless of which side they are promoting, needs to recognize that fact, and own whatever consequences might occur for omitting other factors in the big picture. I have the feeling that if I could retain these different paragraph thoughts, I could put them together in a more cohesive way. But unable to retain them long enough to do that. Same thing with the sentences within each paragraph LOL. I recognize those facts, but I choose to focus on fact that, with assistance of reading them aloud, at least I can understand one sentence at a time LOL. Putting together wording for this blog entry took slightly over 8 hours (plus breaks for dog etc). Now I am ready to attempt a graphic. * Admin issues: SHARE dementia awareness thru buttons below. Feel free to leave your thoughts in the form of comments, but please filter your comments with truthful loving kindness to all concerned. If interested in receiving notice of future blog postings, subscriptions are available through a “follow” button in the upper left corner (MS Explorer) or lower right (Safari, Mozilla Firefox and Chrome). If there is an advertisement below, I have no control over what is shown. My own full legal name is Truthful Loving Kindness. With the new terminology my current diagnosis is Mild Cognitive Impairment, but my neurologist said I am in a unique position for helping because I have “one foot in each door”. Copyright 2017-01/29 with 8hrs invested in text. Tags are dementia, grief, hope, quote, reality. This entry was posted in Action request, Communication, Dementia Symptom Tips, Important, Symptoms and tagged communication, dementia, grief, hope, quote, reality. Bookmark the permalink.